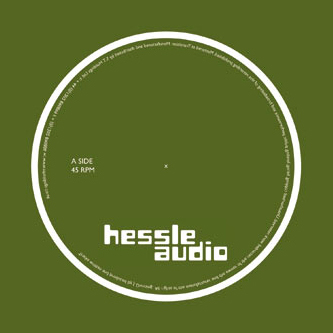 The Hessle Audio imprint is fast becoming the place to go for left of centre and therefore more interesting variations on the sound, selecting artists who share a compatibility with the fringes of techno with a common forward thinking rhythm aesthetic, while still remaining resolutely dubstep, whatever that means nowadays. 'Kingdom' on the A-side is an excersise in sludge jackin dubstep experimentalism, with a straight halfstep riddim dragged into a squelchy jack with swollen subs, mixed to perfection with sounds swooping in from the higher frequencies, belying an recognition of minimal technos spatial awareness. 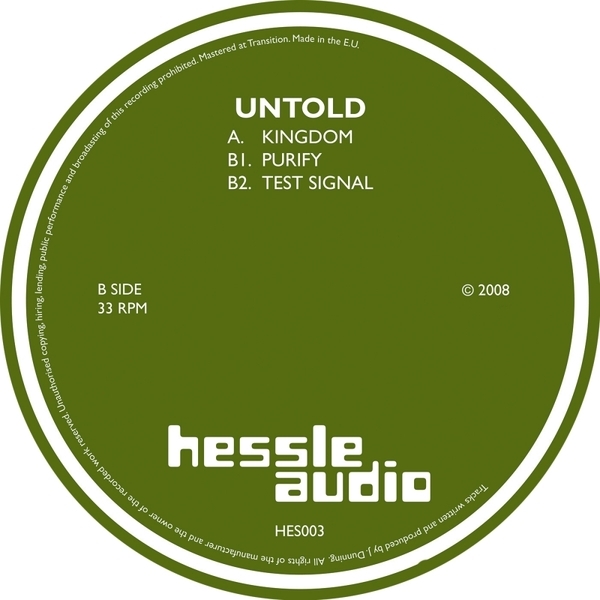 'Purify' and ' Test Signal' on the b-side take more upbeat options, with 'purify' balanced between breaks and 2-step, and 'Test Signal' hanging between halfstep shimmies and divebombing bass with a blue mood. It's all well worth a check if you're into breakage, T++, Likhan, Pangaea or any of that other good stuff. Check!